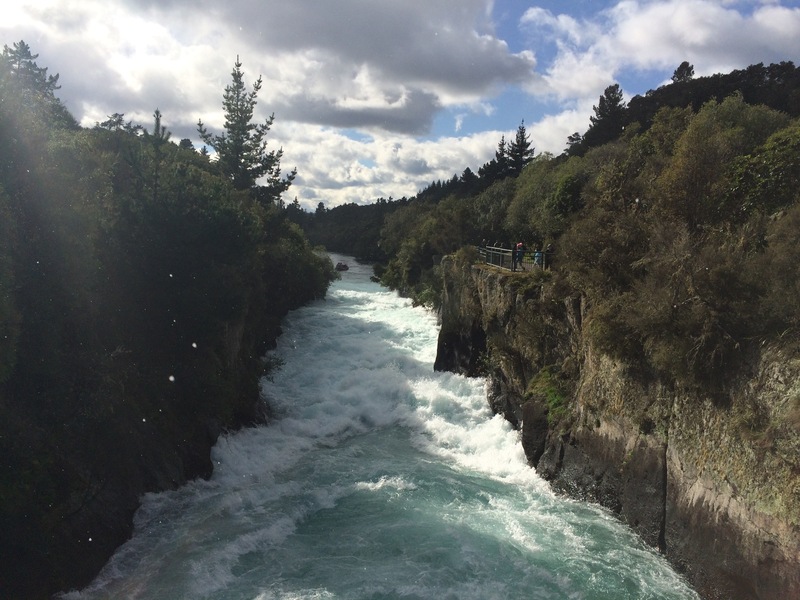 We made a very quick stop to Huka Falls, on the way to Taupo. It was such a pretty stop, we were literally here for 5/10 minutes but the views were beautiful. 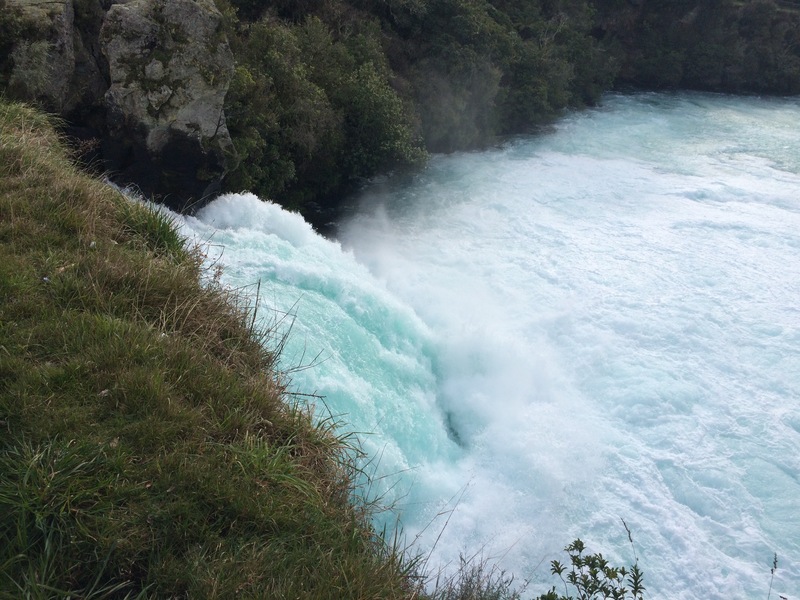 The actual falls are claimed to be the fastest widening falls, as it starts off very narrow and within a metre or two, it has expanded and opens up completely! 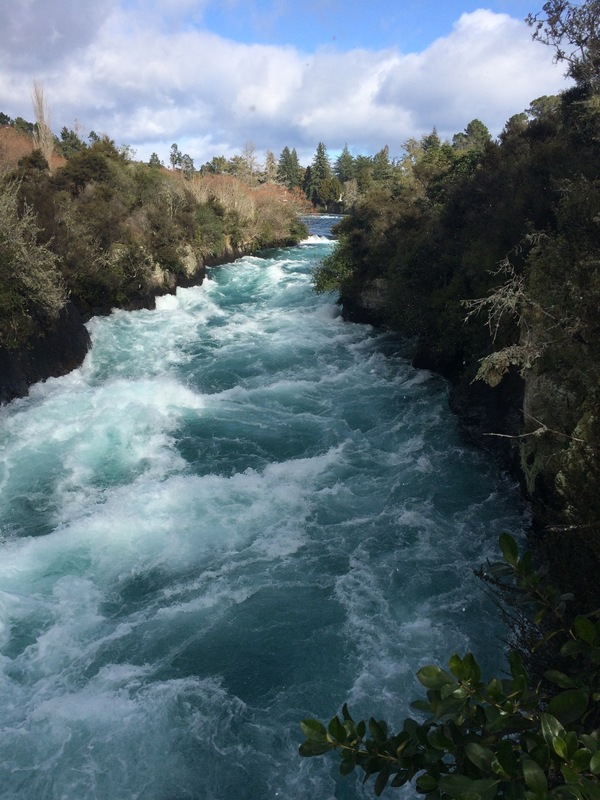 Yet again, the water is VERY blue here too, and it even started to snow whilst we were here! (I’m not too surprised though as it was -1 degrees at the time! ).